The first global platform to manage funds in a decentralized economy is the result of Slovenian knowledge. Iconomi platform will collect virtual money enabled “investment”. Young Slovenian startup company Iconomi launches today to collect seed capital to new forms of grassroots fundraising ICO (Initial Coin Offering). They intend to collect one million euros. Explaining that the mass collection chosen because traditional ways of startups raising money take a lot of energy, so entrepreneurs can not devote enough ideas for your business. In Iconomi with massive funding they will not be collected classic money, but virtual money investors, which will in return for a contribution of acquired companies share. Iconomi could thus become a precedent for funding other ambitious projects, which operate on the principle of decentralized economy. What is a decentralized economy? It seems that virtual currency bitcoin, and as their most visible representative of a first step towards decentralization of financial services and the overall economy. This is evidenced by venture capital firms that invest more and more in companies developing hardware for operating digital currencies. When this development will achieve a satisfactory user level, people will not care or do business with Bitcoin or any other altcoin, it will be important that it is easy and cheap, experts predict. Iconomi is run by the Cashila exchange, which provides a fast and secure way to purchase Bitcoins for European customers. Iconomi’s Open Fund Management platform will allow users to attain profits by investing in hedge funds created by experienced traders, that provides full disclosure on the past and current trading performances. Investors will also have an array of trading and investment tools at their disposal. There will be two types of investment funds: Coin Traded Funds (CTFs) and Coin Managed Funds (CMFs). CTFs will be “low-risk” investment pools that will focus on technical analysis and tools to achieve steady profits from low volatile crypto assets, while CMFs will focus on emerging technologies and ICOs, making them a “riskier investment”. ICONOMI’s mission is to provide an opportunity for investors looking for high profits, not possible in the old economy. It will do so through a simple and trustworthy entry point, providing them with an excellent experience, which is crucial for keeping them investing in the new economy. ICONOMI is creating the missing link between the old and the new economy. Speaking the language of the old economy and acting by the principles of the new one, ICONOMI’s transparent management will be provided by an EU legislation compliant and regulated service operator. ICONOMI provides an opportunity for investors looking for high profits, not possible in the old economy. With newly developed financial instruments, ICONOMI will drive new investors and fresh capital into decentralized economy. Why should I consider ICONOMI? ICONOMI will open up a new financial services category in the decentralized economy, with a stable income stream and an ambitious platform vision. They are positive that ICONOMI is one of the most appealing business proposals of 2016 with its high probability of investment multiplication. On top of that, all ICO participants will have the possibility of investing in an invitation-only ICONOMI.PERFORMANCE fund. They will launch the ICONOMI Open Fund Management platform in 2017 with a simple promise to successful experts – anyone can be a professional fund manager; “You bring the crypto-expertise, They take care of everything else”. Experts are also welcome to participate in ICO. Why should I consider ICONOMI services? ICONOMI funds are the perfect entry-level financial instruments for new investors in the decentralised economy. With preselection of coins and spread of investments, ICONOMI funds promise low volatility with high profits. Potential investors are also welcome to participate in the ICO. The ICONOMI.INDEX FUND will reflect the development of the credible cryptocurrency market. It will be transparently managed and traded on major exchanges. ICONOMI.INDEX fund will include several thoroughly researched cryptocurrencies, including Bitcoin, Ethereum, Lisk, Steem and other major value tokens. The ICONOMI.PERFORMANCE FUND will aim at high performance – multiplication of investment. It will be actively managed by a team of ICONOMI experts. Our team will scout for propitious early investment ICO opportunities (crowdfunded startup projects and companies). Through our company-focused fund, everyone can become a venture capitalist, without any of the hassle and capital requirements. The ICONOMI Open Fund Management (OFM) platform is a simple management tool where traders with knowledge and experience create their own investment funds. Investors, on the other hand, are able to invest even the smallest amounts, offering a clear overview of available investment fund managers and their current & past performance. The ICONOMI Open Fund Management (OFM) platform will disrupt the asset management industry. You will get updates about current cryptocurrency status information. Initial Coin Offering or ICO is a way for the general public to acquire a new cryptocurrency before it hits cryptocurrency exchanges. Coins sold during the ICO period is the cheapest way to get these coins. Once the coin is already publicly available in trading platforms (cryptocurrency exchanges), the price will be dictated by the same people who got it first during the ICO selling them for a profit. For example, you participated $100 in the ICO of a coin $100 or P4,700. After the ICO period, you received your share of 100 coins meaning 1 coin is equivalent to a dollar. You and the others who also participated in the ICO will most likely have the same value of 1 coin = 1 dollar. You and the other traders wouldn’t sell the coin at $1 or below, you will sell it more than the amount you invested in so you will profit and the same goes for the other traders. At what price would you sell it? 1) ICO login page is at Pesobit which will later show the registration page after the countdown expires. 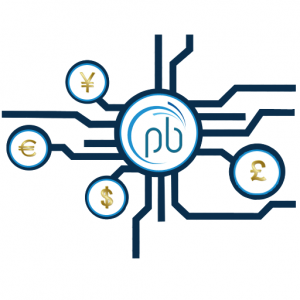 2) PESOBIT ICO will start on August 15 00:00 UTC and will end on September 14 23:59 UTC. 3) You will see an Affiliate link which you can use for others to register under you giving you 3% referral fee of their invested BTC. 4) 16 million PESOBITs will be distributed at the end of the ICO. 5) The price of each PESOBITs will be undetermined until we get to the end of the ICO-period even the number of PESOBITs in your profile. The bigger the collected fund is, the higher the value of each PESOBIT becomes and the lower the number of your PESOBITs will be. One thing is for sure, at the end of the ICO, you will get the number of PESOBITs equal to the Bitcoin you invested. 6) During the ICO period, the download page will be provided so you can have your own wallet software and store your PESOBITs which will be released 2 days after the ICO period. Your PESOBITs will be retained in your ICO profile page though so there is no need to worry about getting it right away. 7) Those who are qualified for freebies at bitcointalk are advised to place their bitcointalk username in their ICO account so we can reward them properly. 3 million for future development of the services.. 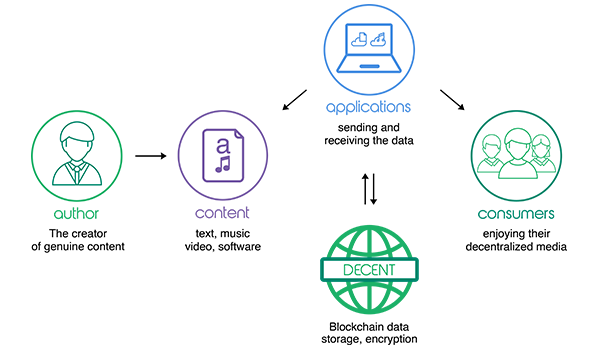 DECENT is a new decentralized content distribution platform that is open source and utilizes blockchain technology, ensuring trust and security. The project intends to obsolete third parties in the way content is delivered to consumers, eliminating censorship. DECENT opening doors for creative people, authors, bloggers, publicists and their fans and followers it allows borderless publishing of any text, picture, video or music content. Intention of the project is to revolutionize Data Distribution on the Internet. 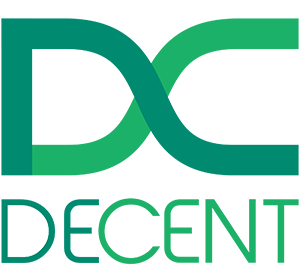 DECENT is acting as a resourceful and independent unit. It allows information sharing without any boundaries or restriction. DECENT want to create a fully integrated & trustworthy worldwide system of digital content distribution in which the communication flow is secured and timestamped by the blockchain mechanism. DECENT’s mission is to become a liaison between various industries by bridging the gap between the emerging blockchain ecosystem. Through secure and trustworthy digital content sharing platform we provide a vertically integrated system for industries, organizations or businesses while we focus on flexibility & sustainable development. Infrastructure of linked systems enables to set more intelligent international standards of efficient, cost-effective & secure content distribution. The principles of DECENT, based on distributed trust machine – the blockchain, bring reliability to wide range of sectors & services in which privacy and security play the crucial role. DECENT combines several functional layers. One layer takes care of distributed storage. We build on the results of the Tribler project, adding own extensions, such as the proof of retrievability, to provide highly scalable, anonymously distributed, guaranteed storage that automatically scales based on the content popularity. The heart of the solution is, of course, the blockchain. We are designing and fine-tuning several processes and associated transactions for use cases – publishing content, buying content and providing feedback. We use a lot of underlying cryptography inside to make everything work, just naming decryption key sharing, various zero knowledge proofs, etc. The devil is in the details, so as we are still working on technicalities, for detailed description please wait for white paper. Last but not least, the user experience would not be full without recommendations. Since all data are available in the blockchain, anybody can execute data mining to find the most suitable content. 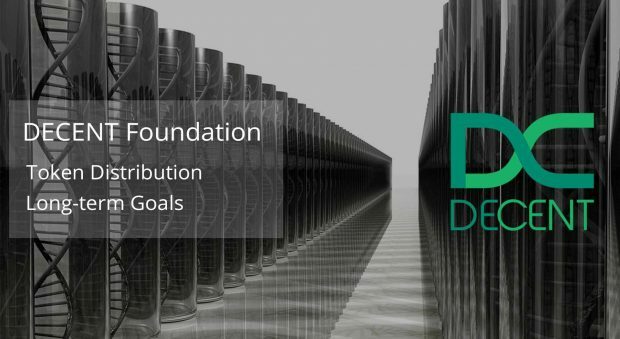 DECENT foundation plans to incorporate their own recommendation engine for their clients, but it is totally up to the users. The first and the most natural use case is content publishing. The user interface will be based on the industry best practices. Upon creating the content an author’s client will encrypt it, possibly adding free preview, and create a content package. This package is then anonymously shared with publishers/miners. These guys will be also given their encryption key shares. The author’s wallet is debited the certain amount of tokens for publishing, which will be later distributed (based on the proof of retrievability) to the publishers for storing the content. This way the miners are incentivized to share their disk space with the community. The second use case is buying the content. The consumer browses the available offers, e.g. based on recommendation engine suggestions, and can check the free preview. When he/she decides to buy it, he/she will also download the encrypted part, pay for it and retrieve the encryption keys via the blockchain. Technically this is the trickiest part where we use several interesting techniques to avoid frauds such as blockchain-based smart contracts with escrow and ZKP. Last but not least, consumers can provide feedback to the author in the form of rating. This is also a blockchain-based transaction. DECENT is currently looking for ambassadors who will help spread the word about the platform. For more information sign up to newsletter and find out more about how you can contribute to this project. Now you can get all the news and directly discuss anything you would like to know about DECENT Network.